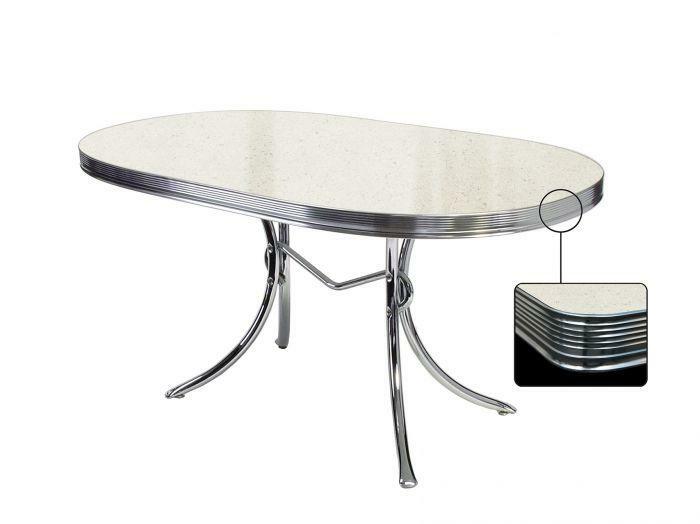 This oval dining table is a stylish addition to any retro restaurant or cafe. 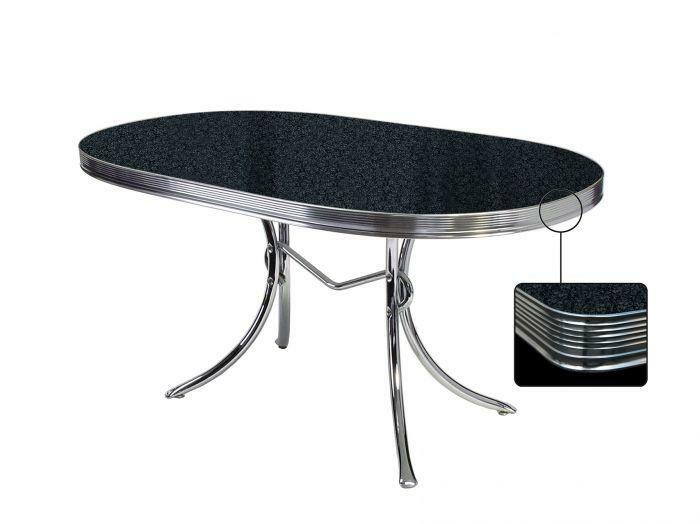 The sturdy pipe frame that supports the table is robust enough to endure many years of intensive use. 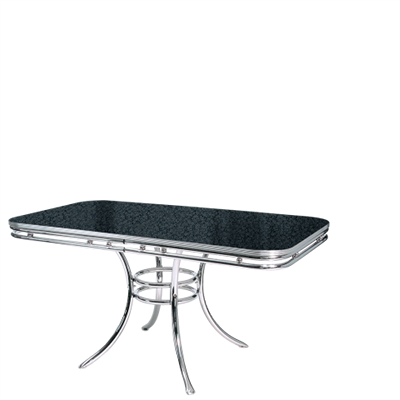 Because of the luxurious chrome decorative rim this table has a unique fifties look that is essential to every vintage space.